Memory cards, also know as flash cards or memory cartridges are an electronic flash memory (non-volatile memory that can be erased and reprogrammed) data storage device used to store digital data. 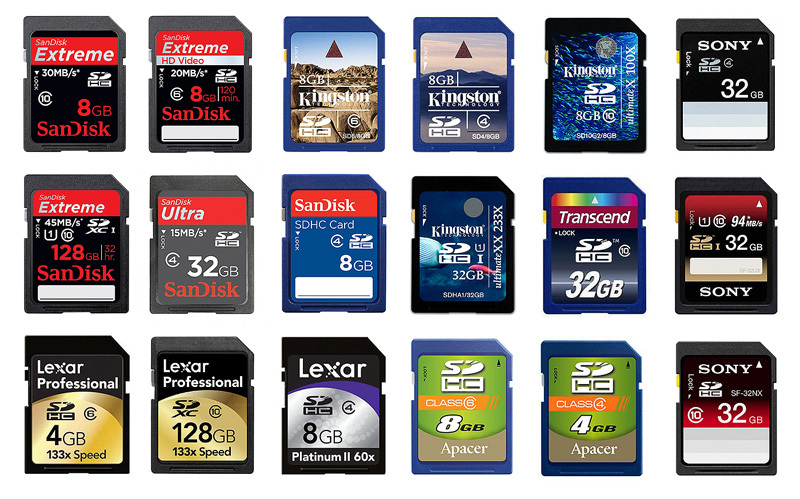 Nowadays these memory cards are used mainly in portable devices such as digital camera, smartphones, laptop computers, tablets, etc. Historically speaking memory cards came in a lot of shapes and sizes since their launch in 1994. The very first memory card was the CompactFlash, but due to its larger size it wasn’t the best suitable for portable devices. Although the SD (Secure Digital) card where developed by the SD Card Association in 1999, only by 2005 SD/MMC cards gained the popularity on the market. This article aims to present you one of the most popular memory cards used today and that is the SD card family. As already mentioned before the SD card family was developed by the SD Standard Association. Their aim was to deliver high performances products in a standardized way. As you have seen before there were a lot of shapes and sized of the memory cards. Each manufacturer tried to use its own format. Thanks to this standardized approach the market has a unified product which is compatible with a large number of products. Whether we speak about mobile phone, MP3 players, tablets, car navigation, E-books and many other consumer electronic devices, all have the possibility to utilize the same memory card. As microSD took over the miniSD the number of form factors was reduced to only two sizes. Original SD Card (alias non UHS-II Card) has the first-row pins including 3.3V VDD that are used for bus interface such as Default Speed, High Speed and UHS-I modes. Standard Size Card has 9 pins (two VSS) and microSD has 8 pins (one VSS). A new pin layout on the second-row was introduced to support the UHS-II bus interface and also support UHS-III for the two form factors. 1.8V VDD is included in the second-row pins and then UHS-II/UHS-III Cards require two power supply voltages 3.3V and 1.8V. 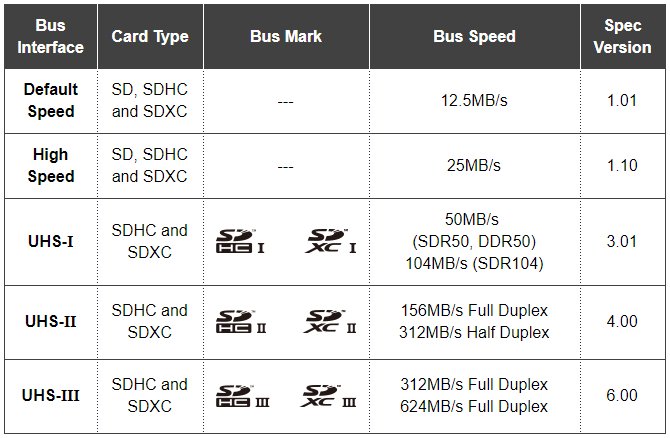 Original SD Card (alias non UHS-II Card) has the first-row pins including 3.3V VDD that are used for bus interface such as Default Speed, High Speed and UHS-I modes. 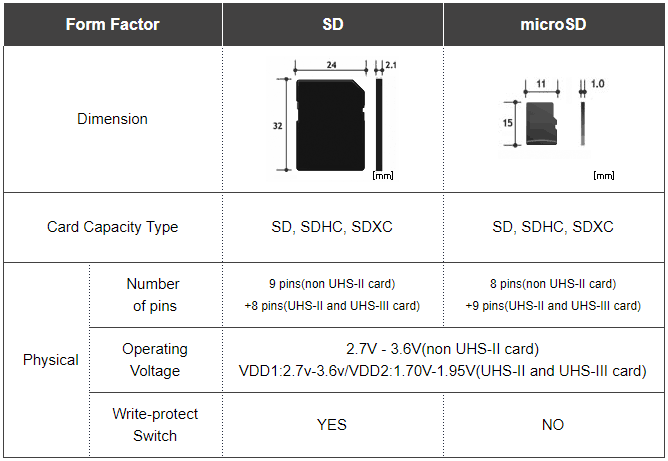 Standard Size Card has 9 pins (two VSS) and microSD has 8 pins (one VSS).A new pin layout on the second-row was introduced to support the UHS-II bus interface and also support UHS-III for the two form factors. 1.8V VDD is included in the second-row pins and then UHS-II/UHS-III Cards require two power supply voltages 3.3V and 1.8V. Non UHS-II microSD Card may extend two antenna pads for contactless applications but antenna pads will interfere the second row of UHS-II/UHS-III Cards. NFC (Near Field Communication) Interface was defined alternatively that use Single Wire Protocol via a pad on the second row. SD bus speed of 12.5MB/s Default Mode was defined by SD1.0 and 25MB/s High Speed Mode was defined by SD1.1 to support digital camera. 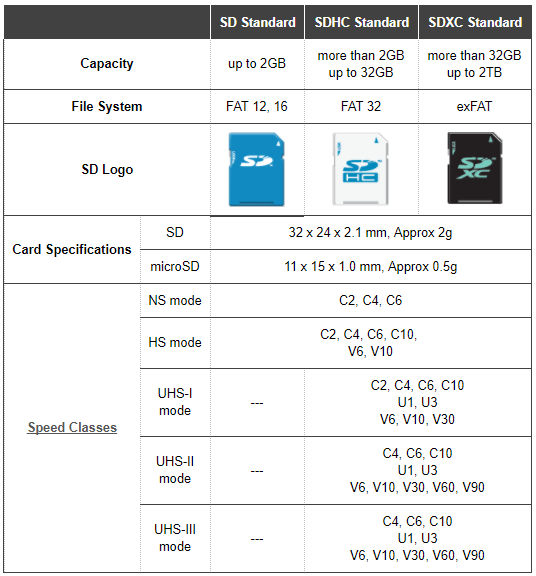 Its high performance function for continuous shooting required higher write speed memory card where SD Association introduced higher speed bus interfaces for SDHC and SDXC memory cards named UHS-I, UHS-II and UHS-III. UHS-I can provide ultimate bus speed using 1st Row pins. UHS-II and UHS-III have ability to provide much higher bus speed than UHS-I using 1st Row and 2nd Row pins. 2nd Row interface is supported with Low Voltage Differential Signaling (LVDS) technology. UHS-II and UHS-III has two lanes. Full Duplex (default mode) assigns a lane to downstream direction (host to card) and the other lane to upstream direction (card to host) and then packets can be transferred both directions at the same time. Half Duplex switches lanes to the same direction during data transfer to make data transfer rate twice (156MB/s in Full Duplex can be switched to 312MB/s in Half Duplex). However, UHS-III Card does not support Half Duplex for 312MB/s Full Duplex and 624MB/s Full Duplex to make PHY design simple. When it comes to purchasing memory cards the most important aspect you need to take into consideration is the speed class of the memory card. But what exactly are these speed classes? Speed Class*, UHS Speed Class** and Video Speed Class*** symbols with a number indicate minimum writing speed. 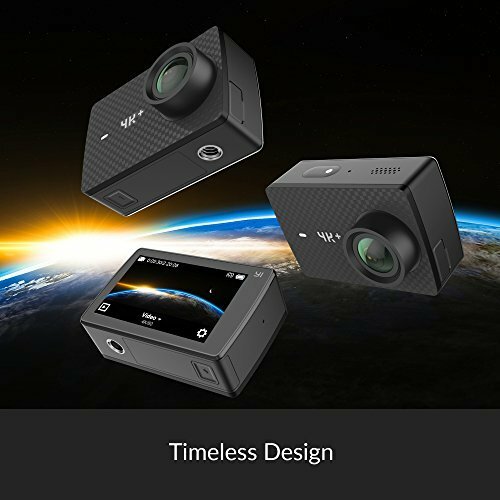 This is mainly useful for camcorders, video recorders and other devices with video recording capabilities. Regarding bus mode, it is necessary to use a bus mode fast enough that does not affect memory write speed. C10 is used in High Speed mode or faster, U1 and U3 are used in SDR50/DDR50 or faster, and V60 and V90 are used in UHS-II mode or faster. 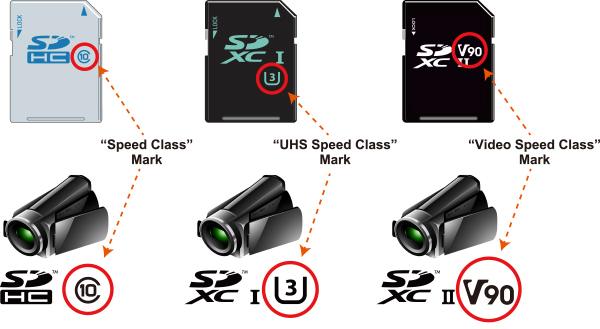 Although many of you would be tented to go with SD XC II memory card as they assure the highest writing speeds, thus you should always read the user manual of your electronic device to check the compatibility with different memory card speed classes. Speed Class supported host can indicate Speed Class symbol somewhere on the product, package or manual. Consumers can find the best card for a host via Speed Class symbol match; choose the same or higher class symbol card than class symbol of the host indicated. 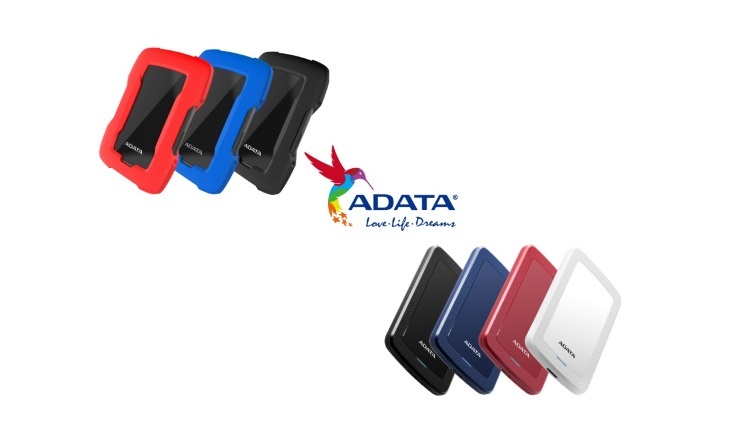 For example, if your host device requires a Speed Class 4 SD memory card, you can use Speed Class 4, 6 or 10 SD memory cards. 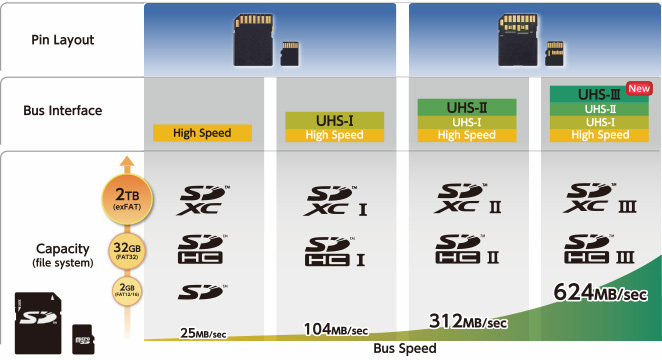 If your host device requires a UHS Speed Class 1 SD memory card, you can use UHS Speed Class 1 or 3 SD memory cards. Video Speed Class is also the same. Note that expected write speed will not be available by a combination of different class symbols such as Class 10, U1 and V10 even those are indicated to the same 10MB/sec write speed. Type of photography. If you are shooting still life or something which doesn’t require large amounts of data to be written to the memory card you will be fine with UHS-I cards. If you are for example shooting sports or some wildlife you will want to write the images as fast as possible in order to free up your buffer. Whether you are using your camera for video recording. 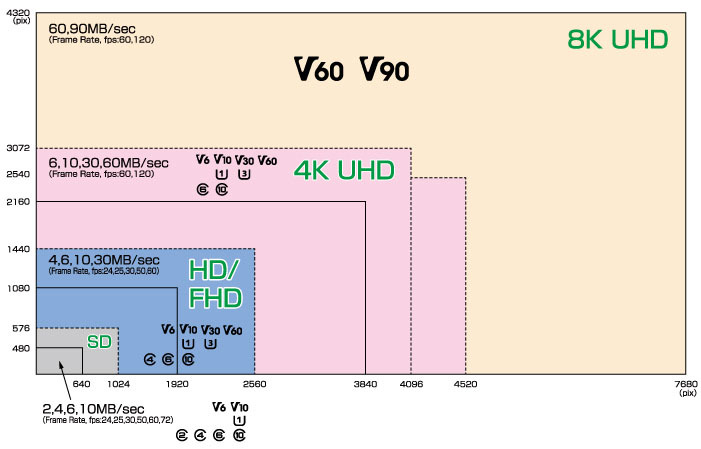 As seen in the previous section for video recording we have seen how frame size and frame rate influence the type of card you should choose. Class 10 memory cards when you want speed and capacity, but still don’t need the extreme version memory cards. This is suitable for the vast majority of devices and cameras. I really recommend these as general purpose memory cards. U1 and U3 memory cards when speed is a must. Most modern DSLRs cameras and action cameras really need ultra fast cards to have the job done without any hiccups. Very often people are tented to buy the highest memory card capacity. 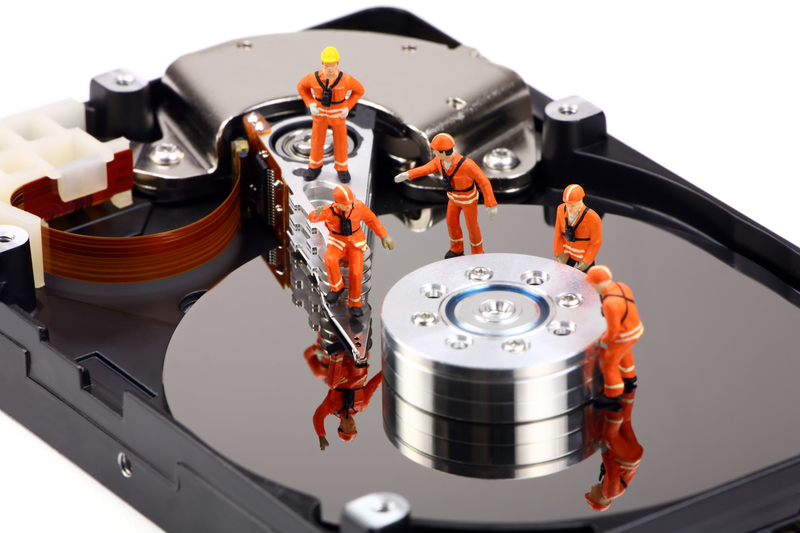 There isn’t an issue for that unless you’re data is crucial. Why? Because for example you can go on a holiday with a single 64GB memory card for example. But, what happens if the card fails, gets lost. Well in this case you lose everything. This can be a big issue for example when you go for a photo shoot for a client. Well it is advised to have more memory cards with smaller capacities. This way if one card fails part of your data will be still there. Additionally the probability to have corruption of multiple memory cards at the same time is minimum. In addition to what we discussed earlier it would be great to store the memory cards in multiple locations just in case your bag is stolen or lost in the airport. 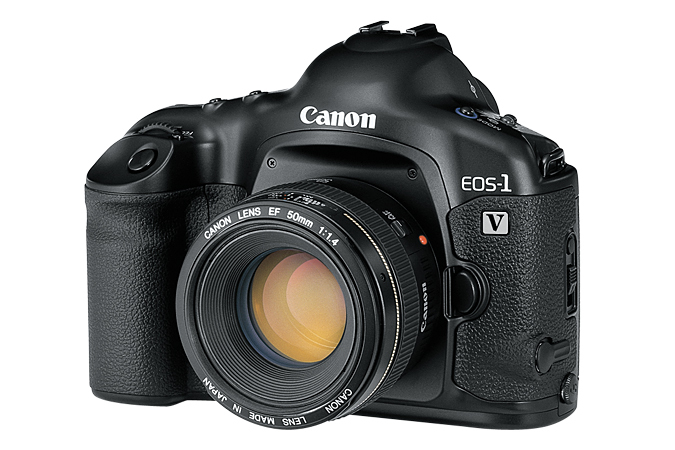 Most modern DSLR cameras with 2 card slots allow you to mirror the data on two cards, therefor you can have a back-up. We have seen the major aspects you need to take into consideration when purchasing a memory card for your DSLR, action camera, ebook, etc. I really recommend you to read your device’s instruction manual to see compatibility with certain memory cards. Pay attention to the supported memory card speed class and maximum storage capacity. If you found this article relevant and interesting you can leave a feedback in the comment section. What do you prefer? Having a larger capacity memory card or more cards with smaller capacities? 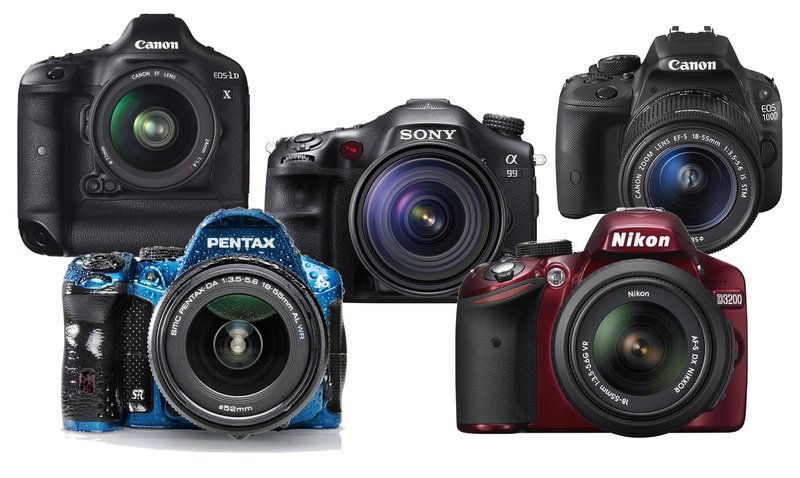 If you want to buy other camera accessories for your camera I recommend you this article.